Google glass, when combined with EEG headset, can take pictures by using just your brain waves. If we combine the glasses with EEG headset, we can click various pictures without saying a word, all we have to do is to focus on the subject. A London based company reported that this device can be benefits in various different situations even during surgeries. The company has released the same software MindRDR for free on Github so that different developers will make something like that in the near future. This will not only show new direction to the developers but also lead to various possibilities in technology industry. This technology can also be used in gaming, making games more interesting. Besides it will make things easier for physically challenged people. The application works well when the Google Glasses are being attached with an EEG headset. The headset is used to measure only when various parts of brain shows high level of activity. 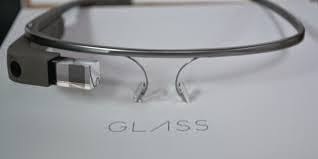 Within the glass screen of Google Glass a horizontal is being there and when user concentrates on that line, that line rises up on the screen. Once the line reaches the top of the glass , a picture can be taken by using the inbuilt camera within the glass. Only one person out of ten in America likes to wear Google Glasses. Some of the people find it awkward while some of them find its too irritating. While such controversies exist in the society, Google glass seem to be getting better each day.